I have just come back from my first ever trip to Bangkok. It was short but fun and boy was the food good. 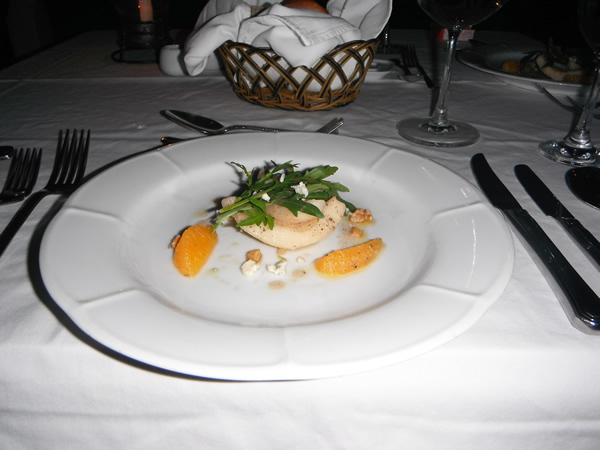 So to start blogging again I first wanted to share two dishes with you that made my trip all the more memorable! The first I tried in a good Thai restaurant and it was gorgeous and so refreshing so I promptly looked up the recipe online. I hope this version will taste as good. 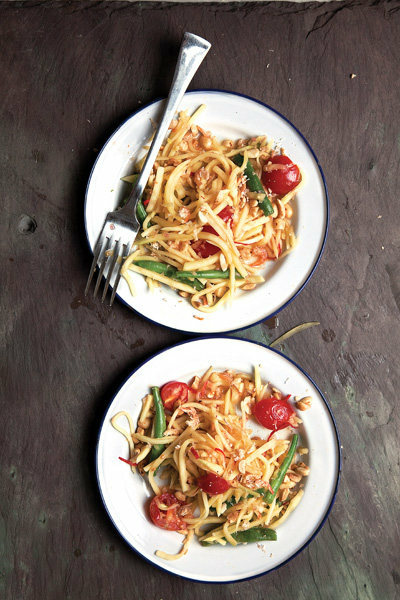 This dish is a lovely refreshing adaptation of a more widely known version made with papaya. Using a mortar and pestle, pound shrimp until coarsely ground; transfer to a small bowl and set aside. Place the chillies, garlic, and shallots in the mortar and pound until bruised. Working in three batches, add mangoes and pound, using a spoon to combine, until softened slightly, 2–3 minutes. Transfer mixture to a large bowl. Add green beans and tomatoes to mortar and lightly pound them to extract juices; stir in fish sauce, lime juice, and sugar. Transfer to bowl with mango mixture. Toss to combine. Transfer to a serving bowl and garnish with crushed dried shrimp and peanuts. The second dish I tried at a street stall and it was so good I ordered seconds. There were hundreds of these stalls all around the area where I was staying. So cheap, popular with the locals (always a good sign) and not only were these pork satays delicious, they also smelled divine. 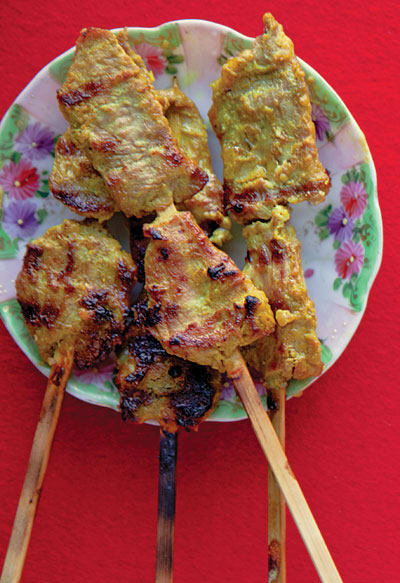 Coconut milk imbues this pork satay dish with a subtle sweetness. Puree 1/2 cup coconut milk, lemongrass, oil, galangal, sugar, turmeric, coriander, salt, cumin, and cayenne in a food processor. Toss paste and pork in a bowl; chill 4 hours. Make a hot charcoal fire in a grill or barbeque. Pour remaining coconut milk into a bowl and stir (helps to homogenize the coconut milk). 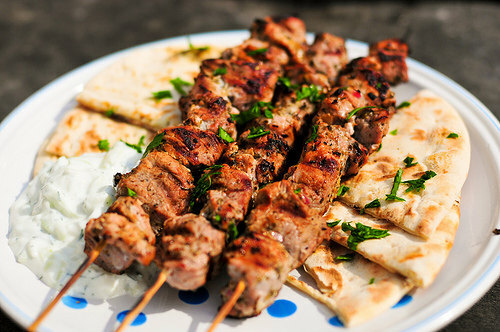 Thread 3 slices pork each on 10 skewers (the skewers can be immersed in water beforehand to stop them burning if you wish), spoon coconut milk onto meat, and grill, turning, until charred, about 7 minutes. The pork satay can be eaten as a snack with Thai Sweet Chilli Dipping Sauce or with sticky white rice, peanut sauce and a Thai cucumber relish. 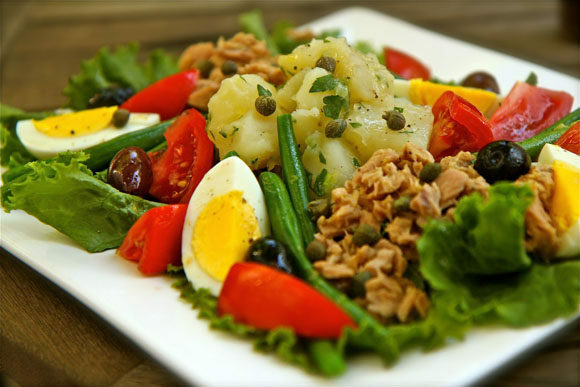 Salade Niçoise, Controversial but Oh so Good! We are in the midst of a mini heatwave in Sri Lanka. Now don’t laugh because you reckon Sri Lanka is around 30 degrees all year around. You are very wrong. Hot days during the monsoon season are hotter than during the dry season…why? I haven’t got clue but anyway it’s hot and I’m craving salad food. Salade Niçoise has to be one of my favourite salads ever. 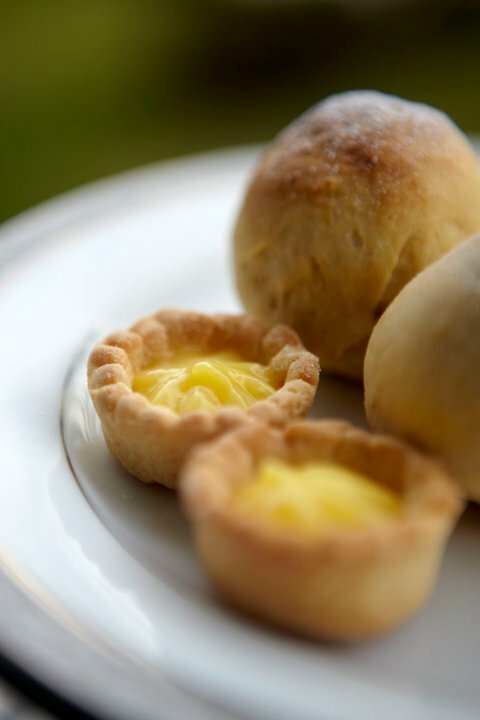 It is yummy and easy to make in Sri Lanka because the ingredients are all available. However, when we talk of ingredients for a ‘true’ Salade Niçoise (born in the city of Nice in the South of France) we are entering hot water. What should and shouldn’t be included – I am easy on this. It’s a French dish so stick to French ingredients and those which are fresh and readily available where you are. Are boiled vegetables acceptable – perhaps they weren’t in the original recipe but I like french beans and baby potatoes in the salad; preferably cooked! One thing I feel strongly about is the tuna issue – canned or fresh? I have eaten both and must admit to much preferring the canned tuna here. If I wanted to eat seared tuna steak I would have. It should be (in my opinion) good quality tuna steak (yep the expensive stuff) in OIL, not brine or that cardinal sin – tuna chunks in brine. Oil is important because it flavours the tuna you could even use use it to dress the salad. The rest of the ingredients are cheap so splash out on decent tuna and olives (and anchovies if you use them – I don’t if I have tuna…I do replace the tuna with them sometimes depending on my mood). 2 cans of good quality tuna steak, preferably in olive oil but any oil will do. 250 g small or baby potatoes, peeled, boiled and cut into bite-sized chunks or unpeeled, boiled & halved if baby variety. Olives (as many as you want) – Niçoise or kalamata work well. Please no purple, stuffed or marinated crappy ones. For the dressing: mix the minced garlic with salt and pound in a pestle and mortar. Add olive oil, lemon juice, pepper and mustard and mix well. Some use fresh herbs such as tarragon , basil or oregano but you can’t get them easily in Sri Lanka so I don’t. Arrange the lettuce, potatoes and french beans on a plate. Top this with the tomatoes, onion, tuna (broken into chunks), olives, eggs, anchovies (if using) and capers. Drizzle over the dressing. Those of you that regularly read my posts will know that I am a great fan of Aubergines (or Eggplant / Brinjal). Add to that my love of Middle Eastern influences in food (that includes Turkish & Jewish food too) and the following Baba Ghannouj recipe cannot fail to please me every time. 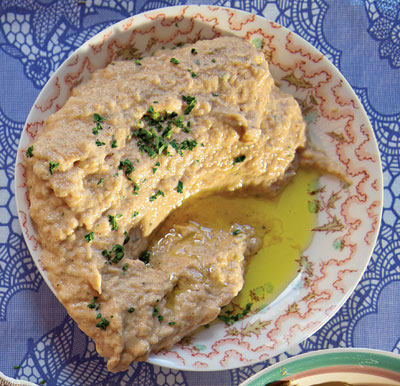 This classic Middle Eastern aubergine dip or spread, fragrant with garlic and smoky charred eggplant, is made even creamier with the addition of mayonnaise. Place garlic cloves and aubergines (brinjals) on a baking sheet lined with tin foil, and grill until tender and charred all over, about 10 minutes for garlic, and about 40 minutes for aubergine (be sure to pierce the aubergine with a fork first to avoid an explosive mess!!). Peel and seed aubergines, and mash flesh with peeled garlic, lemon juice, tahini, mayonnaise, 2 tsp. parsley, the cumin, paprika, and salt and pepper in a bowl; sprinkle with remaining parsley and drizzle with olive oil. Serve with crispy pitta bread and a fresh salad. Grilled or barbecued meats also go very well with this luscious dip. For you Sri Lankan die-hards out there, roti works well too! Bitter gourd – Beauty or the Beast? The name says it all to some folk: “BITTER gourd”…aka bitter melon, or karavila in Sri Lanka. Bitter gourd is a tropical and subtropical vine of the family Cucurbitaceae, widely grown in Asia, Africa, and the Caribbean for its edible fruit, which is among the most bitter of all fruits. Just as with Marmite, you either love it or hate it. I definitely belong to the former group. It is, however, one of the healthiest! 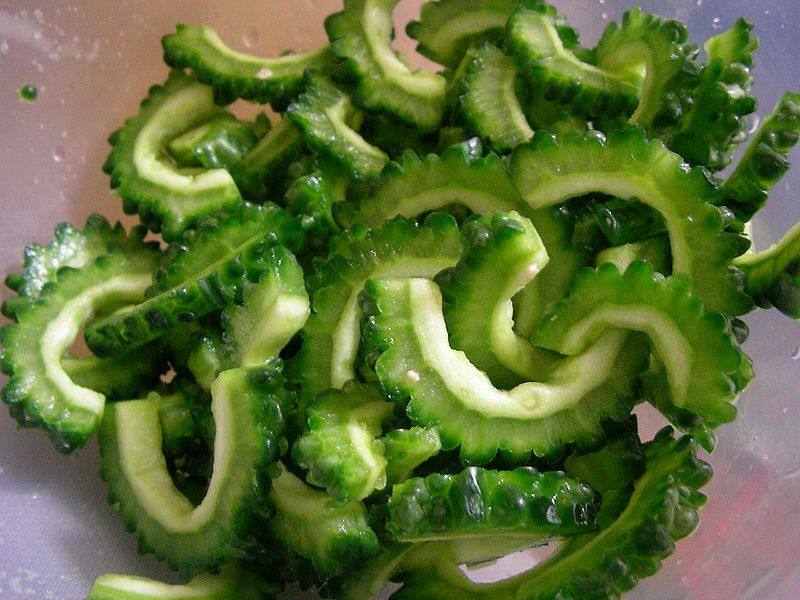 Bitter gourds are very low in calories but dense with precious nutrients. It is an excellent source of vitamins B1, B2, and B3, C, magnesium, folic acid, zinc, phosphorus, manganese, and has high dietary fiber. It is rich in iron, contains twice the beta-carotene of broccoli, twice the calcium of spinach, and twice the potassium of a banana. The gourd contains a unique phyto-constituent that has been confirmed to have a hypoglycemic effect called charantin. There is also another insulin-like compound known as polypeptide P which has been suggested as insulin replacement in some diabetic patients. Bitter gourd (karavila) is also renowned in Sri Lankan indigenous medicine (Ayurvedic medicine) as an eradicator of toxins. Ayurvedic doctors have known about its invaluable qualities that help abate diabetes, alleviate phlegm, cleanse the blood, increase appetite and much more. 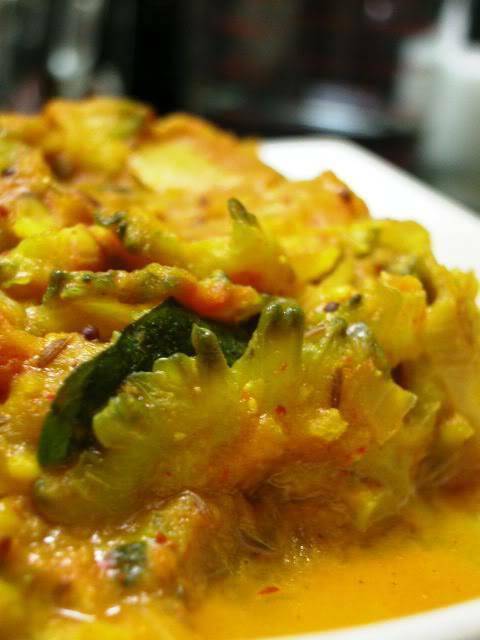 One popular way to serve bitter gourd in Sri Lanka is as a sambol to accompany rice and curry dishes. 1. Wash bitter gourd, de-seed and slice thinly. If you want to remove some of the bitter taste you can soak the bitter gourd slices in salt water for a while before drying & frying. 2. Heat oil in a wok and deep fry karavila until golden brown. Once done put them on a paper towel to absorb the excess oil. 3. 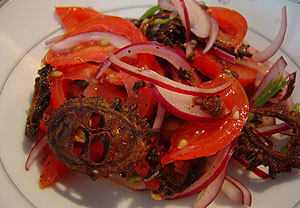 Mix sliced onions, tomatoes, green chilles in a bowl and add deep fried karavila. Lastly add lemon juice and salt to taste and mix well. NOTE: this sambol is best prepared at the last minute before eating as it tastes best when the bitter gourd is still crisp. Marinate the bitter gourd slices in water, salt and turmeric for 10 minutes. Squeeze out the water and set aside the gourd. Sautee onion, garlic, mustard seeds and curry leaves until the oil starts sizzling. Add the cumin, turmeric and chilli powder and stir. Then add the gourd and stir again. Add the tomato, salt, about 1/4 cup water and the coconut milk. Let it boil until the bitter gourd is soft (8 to 10 minutes), stirring occasionally. When done, add lime/lemon juice. Check for taste. The lime/lemon minimises the bitterness of the gourd. Simple, yummy and very healthy after all those vodka-infused snacks in my last post! 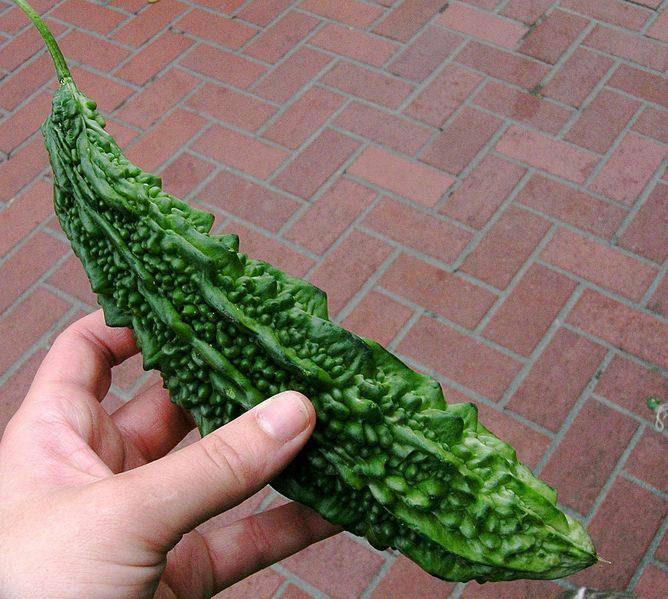 Bitter gourd is a significant ingredient in Okinawan cuisine, and is increasingly used in mainland Japan. It is popularly credited with Okinawan life expectancies being higher than the already long Japanese ones. Five times as many Okinawans live to be 100 than the rest of Japan, and the Japanese are the longest lived nationality in the world. Other bitter gourd culinary uses range from the simply scrumptious Pachadi to the downright bizarre! In the UK I know that bitter gourd is readily available in most Indian grocers in larger towns and cities, I presume this is the same in the USA & Australia and most of Europe. I would be interested to know where you buy yours! 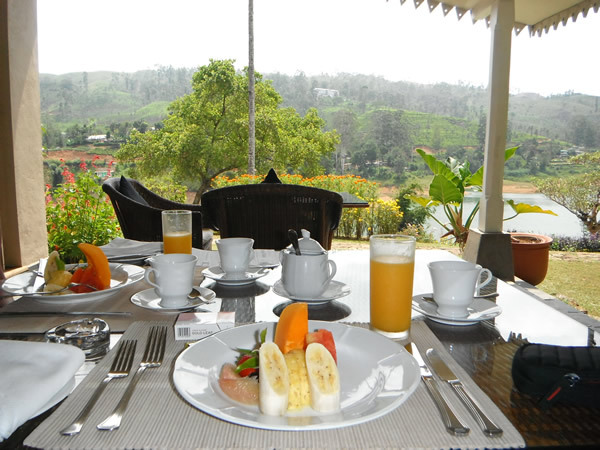 This is the third and final instalment of my trip memoirs to the Sri Lankan Tea Country and staying at Ceylon Tea Trails . 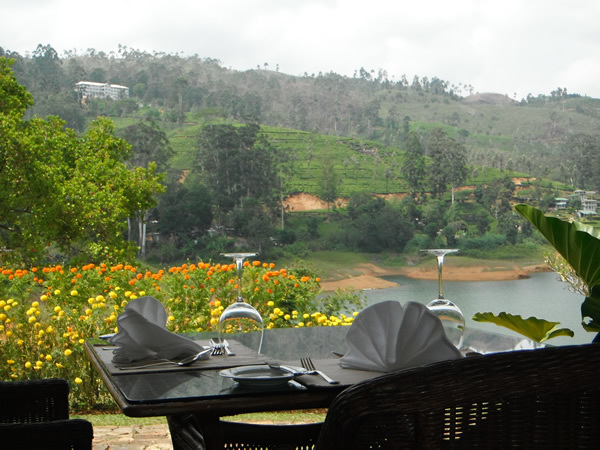 The other two blog articles can be read here and here, where I talked about winning the Sri Lanka in Style prize, the wonderful Castlereagh Lake area (near Hatton) where we stayed and the breathtaking scenery and flora. 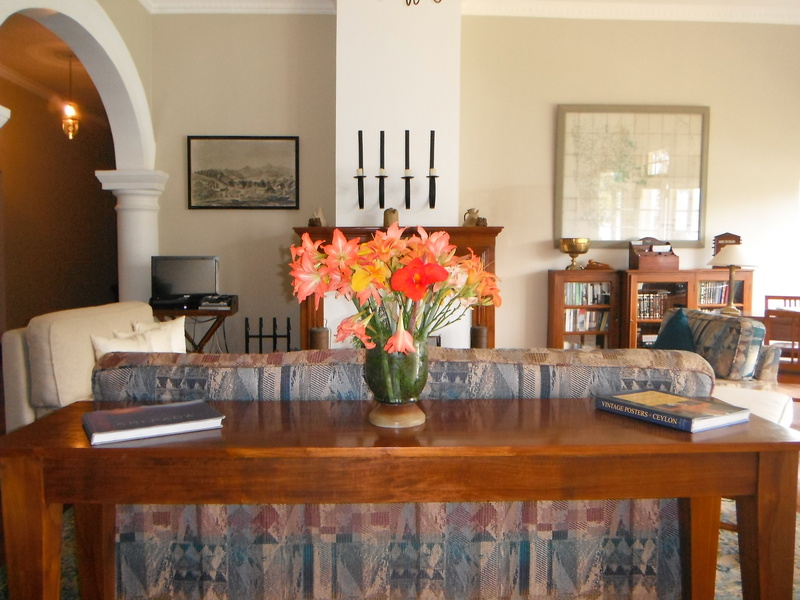 Now I’ll be waxing lyrical about the beautiful Castlereagh Bungalow property, the exceptional hospitality and how well we were looked after from the minute we arrived to the second we (sadly) departed. 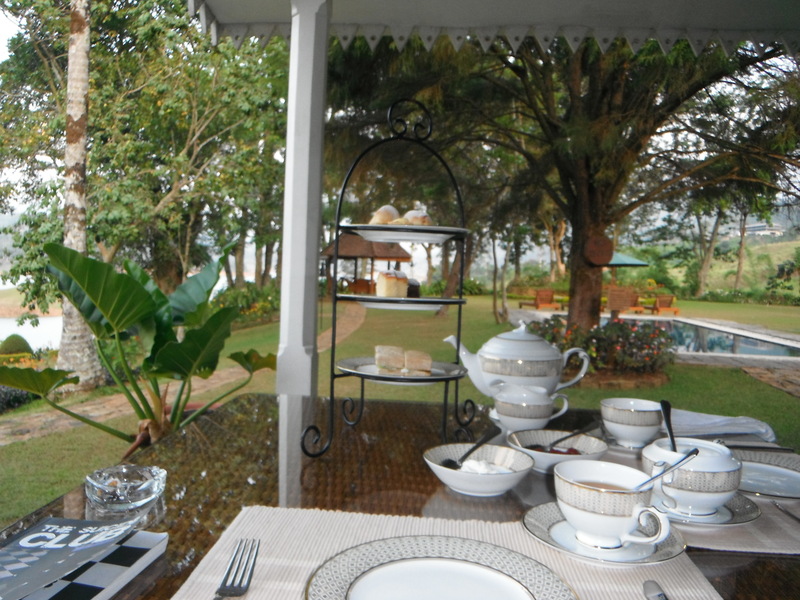 We were just time for that great tradition “high tea” on our arrival and that certainly did not disappoint…with delicately scented Orange Pekoe tea (adding milk is a crime! We were however only to find this out on our second day! ), chocolate cake slices, mini lemon meringue pies, mini carrot cake pieces, delectable home-made scones with clotted cream and strawberry jam to mini cucumber, egg & cress and cheese salad sandwiches…we didn’t even have time to explore our home for the next 2 days before tucking in! After being rejuvenated it was time to explore the bungalow. 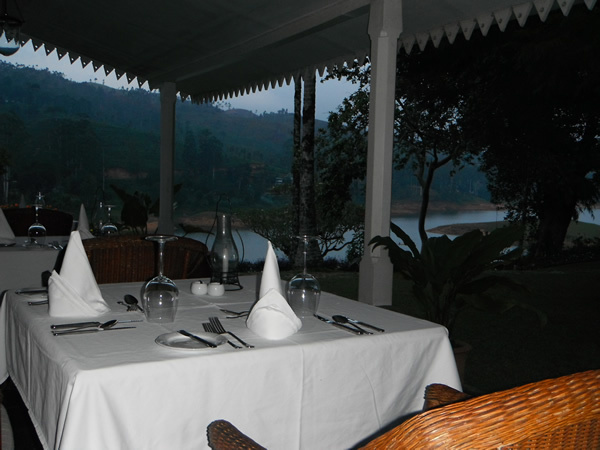 Dating back around 90 years, the lodge, or bungalow, nestles in a leafy forest glen, with the appearance of a charming single-storey colonial house. It wasn’t grand, as that would look out-of-place; it was more quaint and cabin-chic; wooden panel floors, with cream walls, a green corrugated iron roof and many picture-frame windows, all wide-open, with a ‘country-chintz’ style of décor (as Luxury Explorer so brilliantly puts it). 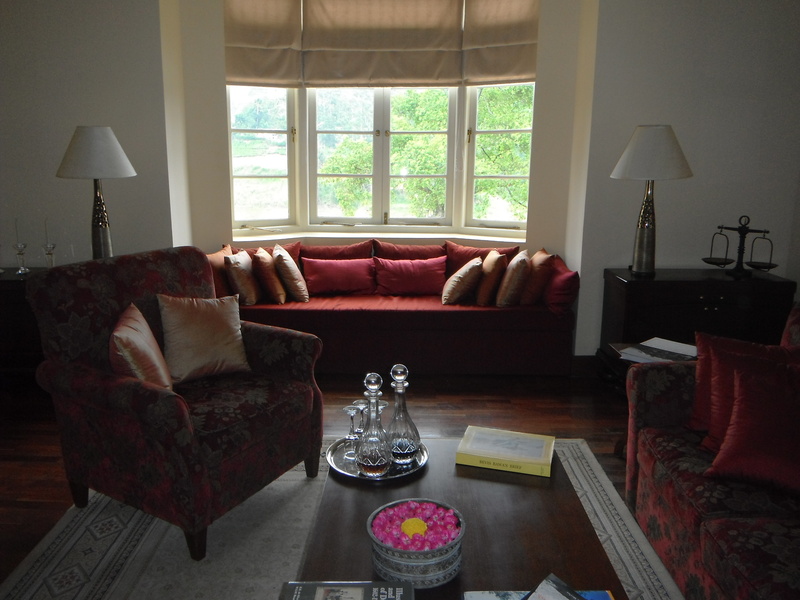 From the main (road side) you enter a welcoming reception room which doubles as reading room with an open hearth. The individual guestrooms are to the right and the sitting room and dining rooms are to the left which both lead to the veranda which overlooks the pool which in turn looks out over Castlereagh Lake. 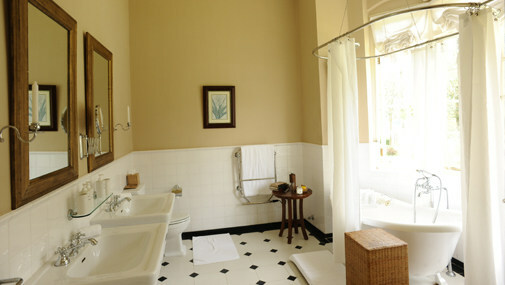 The Castlereagh Bungalow has 5 guestrooms and although we were in the smallest (The Tate Room) it was still enormous. The bedroom boasts a four poster bed which would accommodate two of the tallest North Europeans with ease. The bed had so many pillows and cushions I lost count before falling asleep. 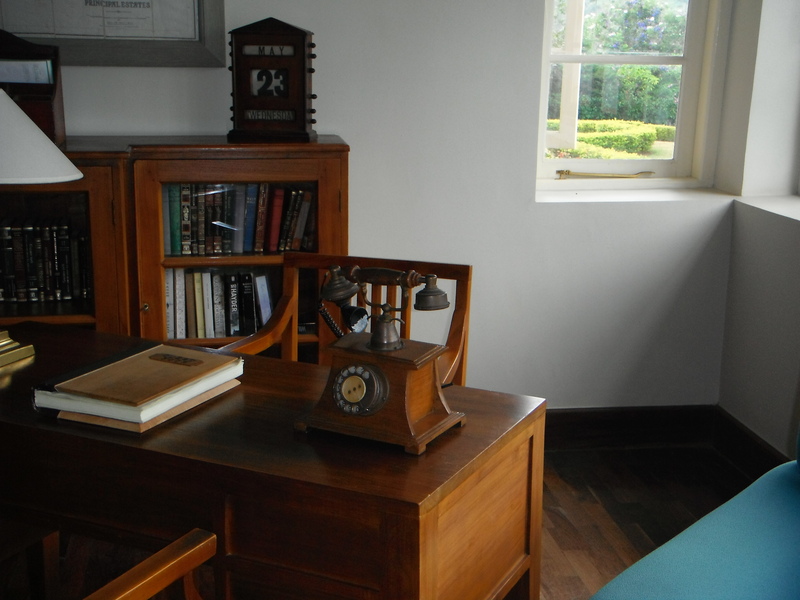 There is also a huge wardrobe and a large writing desk overlooking the lake, should you feel inclined to do any work at all and a comfortable chaise longue to generally do very little in. 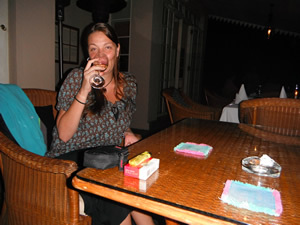 Once cleaned up after the dusty train journey it was time for drinks and dinner. 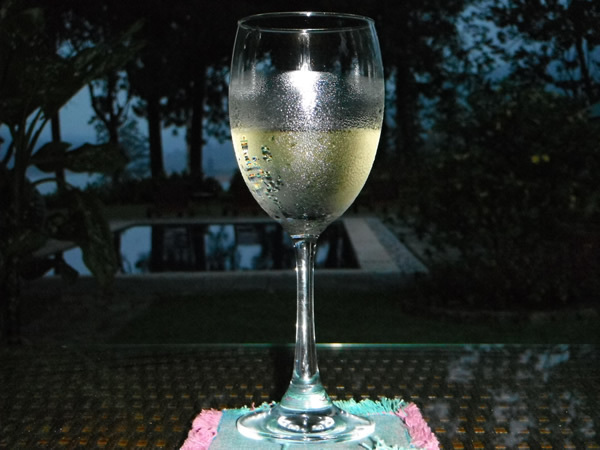 Both were served on the veranda because of the warm weather! It was still cooler than down in the Low South West and much more bearable. We did not need jackets nor the fires lighting (which I privately thought was a shame!) . Then we had deep-fried cheese (I think Brie or Camembert) with a berry coulis/compot type-thing…excuse me for not remembering exactly – I was enjoying myself too much!! 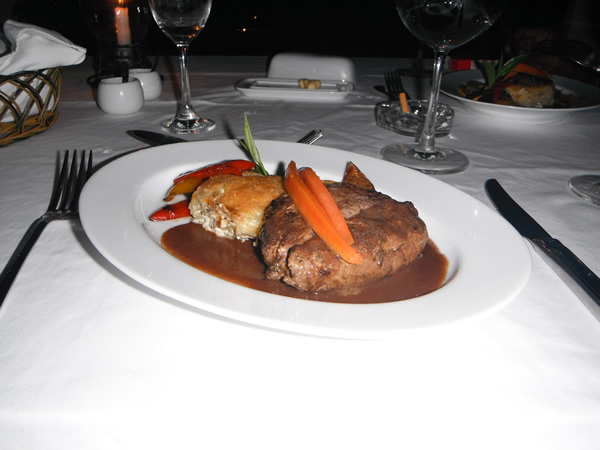 For mains – a fillet steak (mine medium rare) in a red wine & taragon jus with roasted vegetables and potatoes dauphinoise…BY FAR the best steak I have ever had in Sri Lanka! With such an enormous amount of food in me and exhausted from travelling there was nothing more to do than retire to the most comfortable bed complete with Egyptian cotton sheets for the night (ah bliss). Breakfast the next day was equally scrumptious. Gallons of tea followed by a fruit plate so well-presented you almost felt ashamed to eat it. Who was I to refuse?? 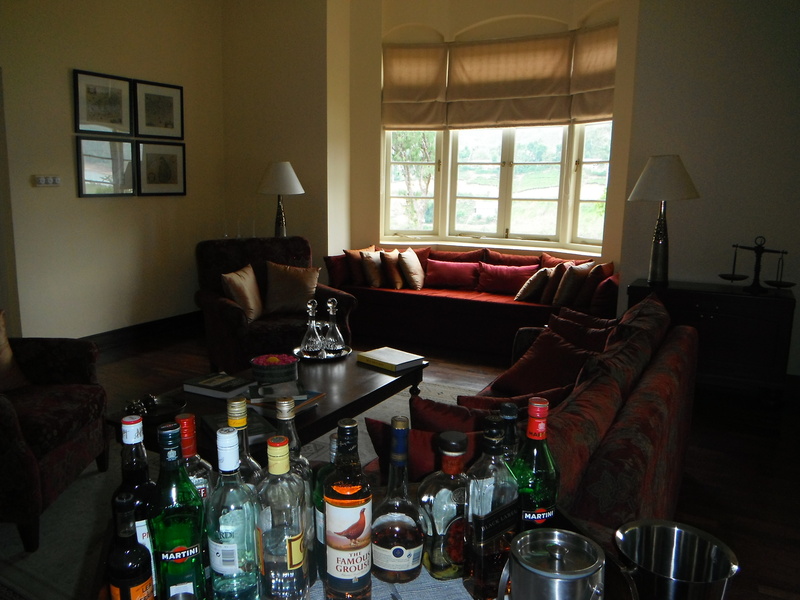 All this was accommodated with a smile – hospitality at it’s best! I WILL return. Another hot day…another food-sick day (instead of home-sick!) and seeing as I am well into brinjals (aubergines or eggplants) at the moment I thought I would try this recipe from Saveur.com today. An earthy combination of fried aubergine, tea-steeped hard-boiled eggs, tahini, parsley, amba (a mango chutney/relish), and cucumber salad goes into this vegetarian sandwich, which is based on a traditional Shabbat breakfast of Iraqi Jews. I was brought up in the Middle East for 13 years and thus have a great love of Middle Eastern food. You can honestly wake me up in the middle of the night for some home-made houmous, tabbouleh and warm Lebanese or Turkish bread…but I’ll save that for another post! 1. 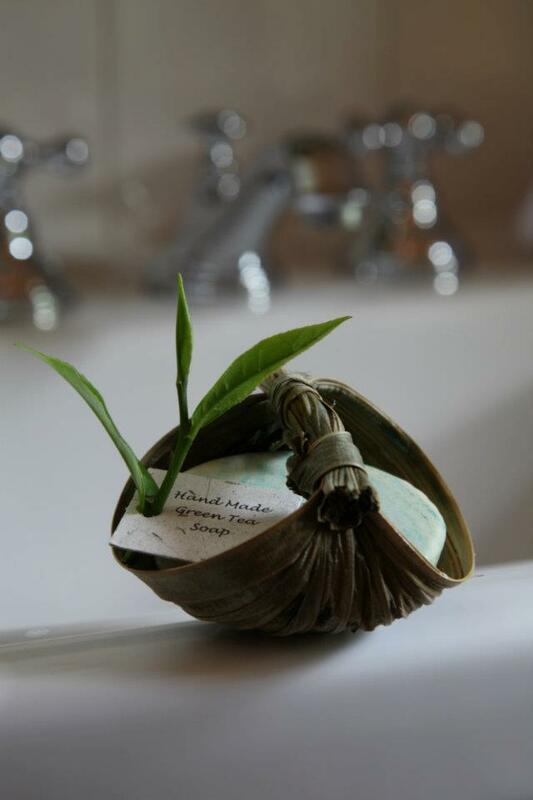 Place tea bags and onion peel in a large saucepan with 8 cups water; bring to a boil. Reduce heat to lowest setting, add eggs, and cover; let eggs steep until they’ve darkened in color, about 1 hour. 2. Meanwhile, heat oil in a large cast- iron skillet or frying pan over medium-high heat until oil is shimmering. Season eggplant with salt. Working in batches, add eggplant and cook, flipping once, until golden and very soft, 3–4 minutes. Transfer eggplant to paper towels and set aside. 3. In a small bowl, combine the chopped cucumber, tomato, onion, 1 tbsp. lemon juice, and olive oil; season cucumber salad with salt and pepper and set aside. In a small bowl, combine the remaining lemon juice, tahini, garlic, and 5 tbsp. ice water. Whisk ingredients until creamy and season with salt; set tahini sauce aside. 4. To serve, slice off the top quarter of the pita breads and spread some of the tahini mixture on the inside of each pita. Put about 7 slices of eggplant into each pita along with one egg. Add some of the cucumber salad, top with some of the amba chutney, and stuff some of the parsley into each pita. Drizzle the top of each sandwich with the remaining tahini sauce.